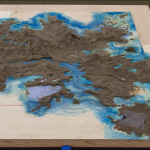 A few days ago Square Enix released the high definition version of a tech demo for Final Fantasy XV showing, among other things, what seems to be a model of the world map used for 3D scanning. 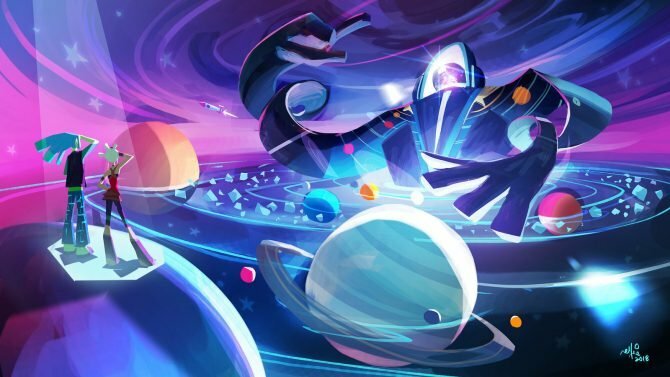 While we have no absolute evidence that it’s indeed the full world map of the game, it definitely seems like it, and it includes plenty features we can speculate on. 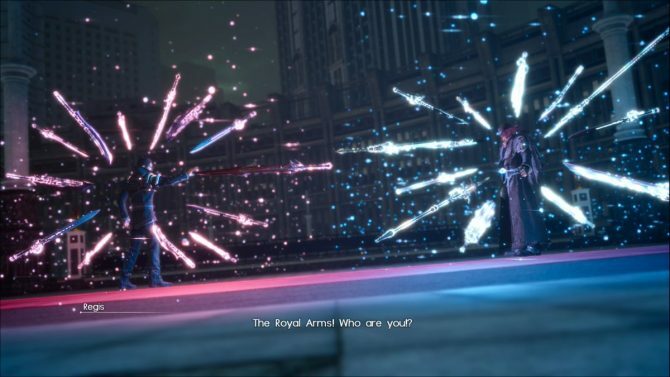 Of course none of the details below has been officially announced by Square Enix, so take them as an interesting (but unconfirmed) glimpse on the probable future. 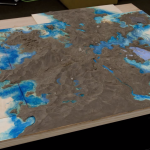 One of the most prominent features of the map is the large gulf with what definitely seems to be a city in the middle and around it (it’s very visible because the color of the water is lavender-ish). 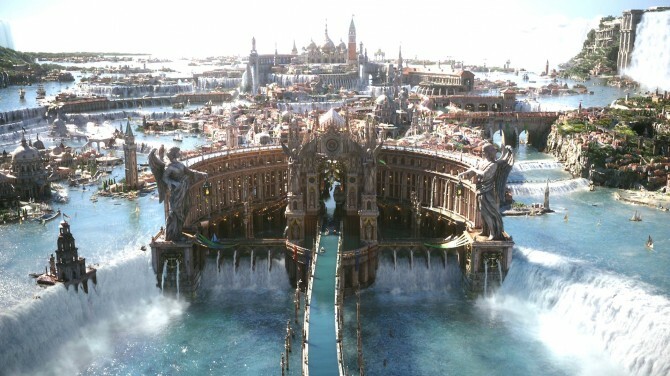 That’s Accordo, the beautiful Venice-like City we’ve seen in previous trailers. The trick to gauge its size compared to the map, is in the round depression you see in the picture above. It’s very small, but it can be noticed in a brighter color. In the picture below you can see the size of the frame above roughly translated on the map, alongside all the other features I could identify. 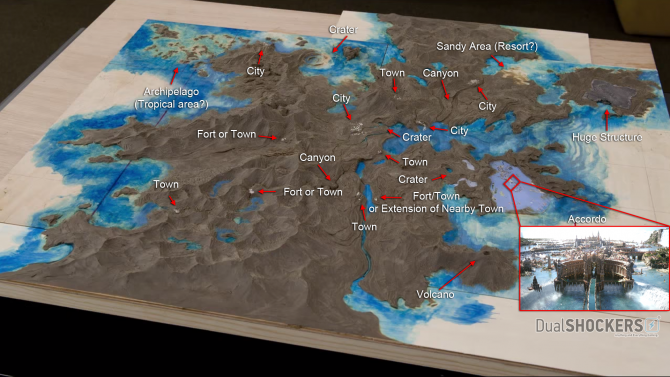 As you can see, the map appears to be really huge, and there’s quite a lot to see. First of all, there are several man-made features that appear to be cities or villages. Besides Accordo, we can see at least five major cities. There are also some smaller towns. Roughly in the middle of the map there are two settlements quite close to each other across a large river. Those could be two separate towns, a town and a castle/fort on the other side, or a single major city that spans both banks of the river. Two structures that look a bit more “solid” and focused than other towns could be castles, but could also simply be towns themselves. We can see a volcano, an archipelago, which could house a tropical-like area, and a large sandy area which could even be the location of a resort area similar to Costa Del Sol. 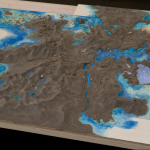 The whole map seems to be very rugged, with large elevation changes and mountain chains. There are even two major Canyons. Contributing to the rugged appearance, it seems that the continent has been battered quite a bit from the sky. There are at least three places that seem to include a crater formed by a meteor or similar entity. The tallest mountain close to the center of the map also seems broken, with an enormous chasm right in the middle. Unfortunately the angles we’ve been shown make seeing it clearly a little difficult. Finally, there’s a huge structure of a fully unknown nature. it seems to be man-made, and at least partly damaged (maybe by another meteor?). At the moment we don’t know what it is, but considering its prominence, it’s probable that it’ll play an important role. 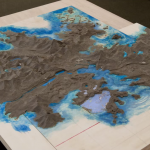 Ultimately, if this is really Final Fantasy XV‘s full world map, and if it offers the freedom of exploration that developer comments and vidoes seem to indicate (especially due to the presence of a car and airship), we might be looking at the dream of many Final Fantasy fans coming true. 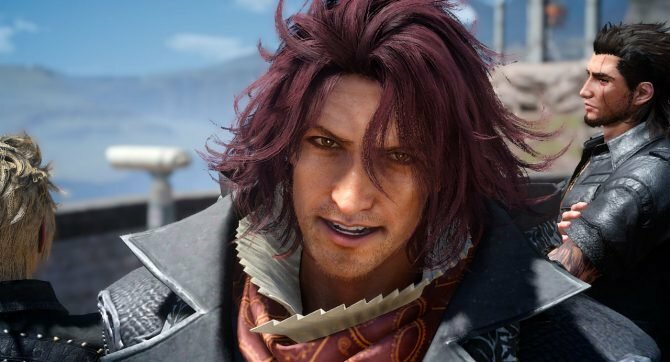 It’s huge, it has plenty interesting features, and it’s quite reminiscent of the old, glorious overworld maps earlier Final Fantasy games featured, but this time it’s in glorious next-gen 3D. If the possibility doesn’t excite you, you don’t have a heart. 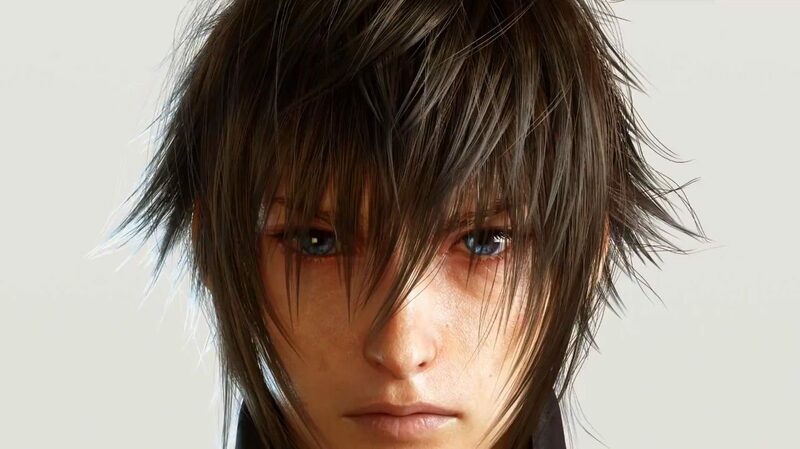 This article was inspired by this thread on NeoGAF, with additional personal findings and speculation. Thanks to those that participated to the discussion.